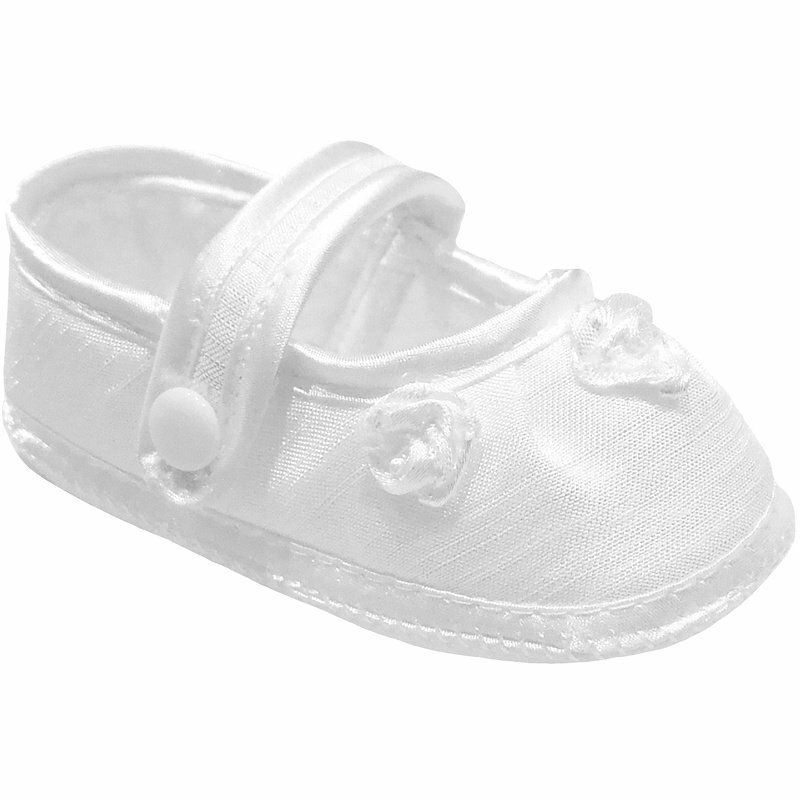 Baby girls white dupion rosebud christening shoes, the perfect compliment to her christening dress. These beautiful girls soft sole pram shoes are of a white dupion (silk effect) with satin trims. Three rosebuds are adorned to the front of each shoe, with a velcro fastening to the side.